CS Automation can achieve high speed high accuracy positional control by selecting the most appropriate motion control and suitable actuators, thereby optimising machine cycle times. 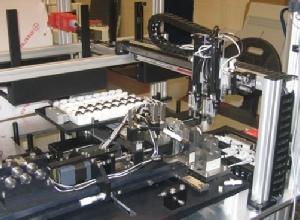 Precise motion control is needed in many automated systems. Whether the application calls for a single axis stepper drive or a multi axis servo controller we can provide the solution. 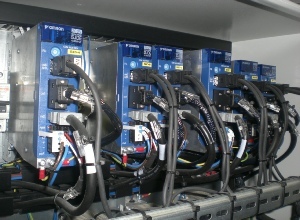 At CS Automation we have the experience and skills to design and develop reliable and cost-effective control systems for our customer’s requirements. For ease of setting up graphical pages on the HMI can allow the operator to jog to required positions and “teach” the machine. Alternatively precise positions may be entered in engineering units, in some cases down to micron level. All CS Automation’s machines are fully risk assessed to the latest standards and relevant safety guarding and interlocks are fitted.